Exotic golden-orange with triangles of black/hot pink polka-dots! There is also a piece that is fused across the tops that have a shimmery golden butterfly design on them. 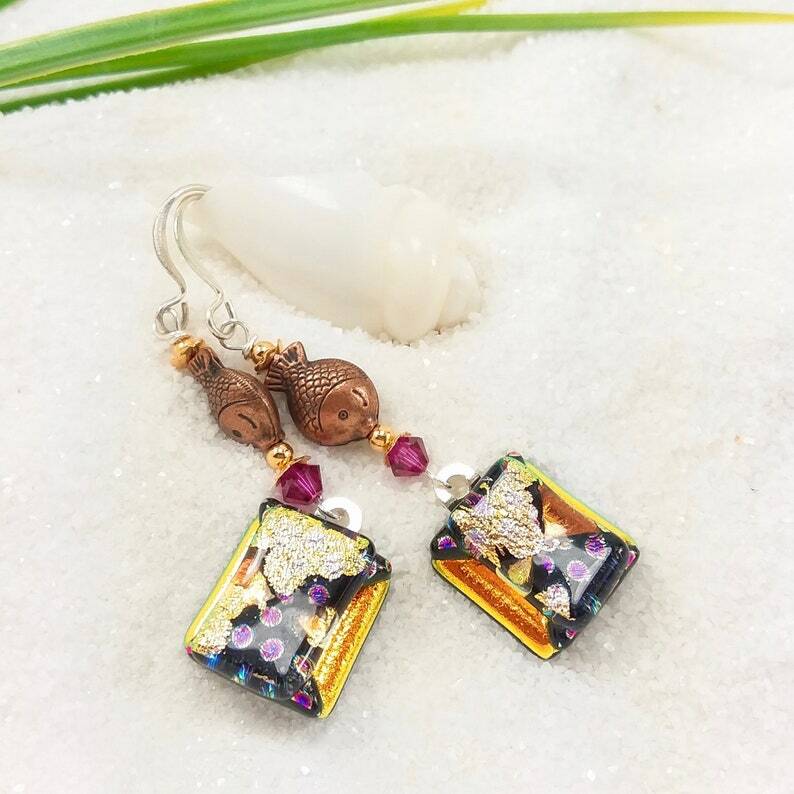 They dangle from cute copper "Fish" beads as well as matching Fuchsia Swarovski crystals. They are set with shiny sterling silver plated bails & ear wires!